Save 25% till June 2n 2019 ! Whilst Stocks Last!! ************* Save 25% till June 2nd 2019 !!!!! 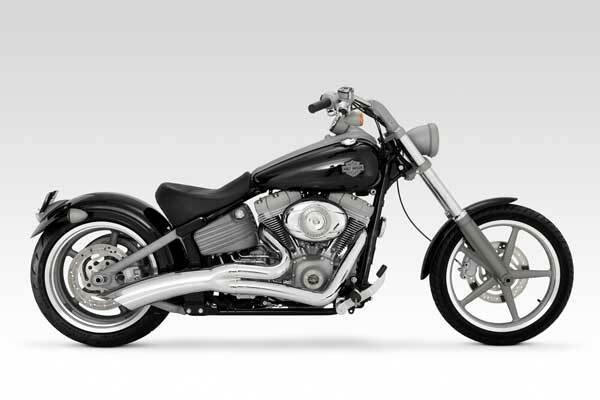 Harley Davidson Rocker C Big Radius 2-into-1 in Black sorry chrome shown ! breaks the mould and delivers white-knuckle performance with style unlike anything from the competition and anything you have ever experienced before. With full-coverage heat shields in either chrome or black, Big Radius 2-into-1 will keep its show quality finish whether at the dragstrip or on the boulevard. Don’t let the good looks fool you, once you turn it on, make sure you hold on tight as you rule the open road.